Corel Painter 14.1.0.1105 – Digital art software featuring realistic painting effects. 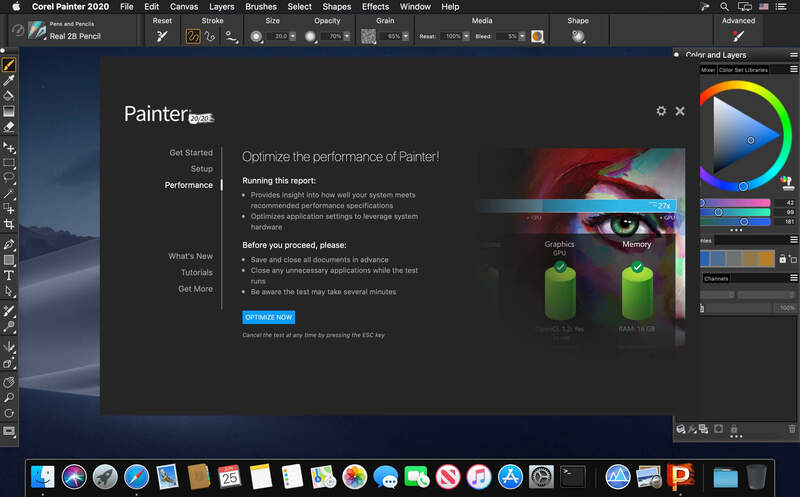 Corel Painter helps you create astonishing art in a variety of media. Paint with vivid oil paints, fluid water colors, and earthy charcoals. Corel Painter flawlessly recreates the tones and textures of each medium. Choose your brush. Corel Painter includes hundreds of built-in brushes. You can even create your own brush by fine-tuning bristle type, behavior, and settings. Pick a paper style. Corel Painter lets you tweak your paper texture, effecting the way your brush strokes interact with the grain. More textures, more possibilities. Customize every detail. Tweak the wetness of your paint, or alter the drying time. Corel Painter’s options are as boundless as your artistic imagination. Next story Mailplane 3.4 – The best way to use Gmail on your Mac. Previous story Network Player 2.0 – The next generation media player to amaze you! Ember 1.5.1 – Versatile digital scrapbook. ColorWell 1.0.5 – Instant access to the OS X color wheel. Pixave 2.0.1 – Store and organize those inspiring photos.